On Easter Sunday, we celebrate the resurrection of the Lord, Jesus Christ. It is the most well-attended Sunday service of the year and the most joyous! We believe, according to the Bible, that Jesus came back to life, or was raised from the dead, three days after his death on the cross. As part of the Easter season, the death of Jesus Christ by crucifixion is commemorated on Good Friday, always the Friday just before Easter. Through his death, burial, and resurrection, Jesus paid the penalty for sin, thus purchasing for all who believe in him, eternal life in Christ Jesus. 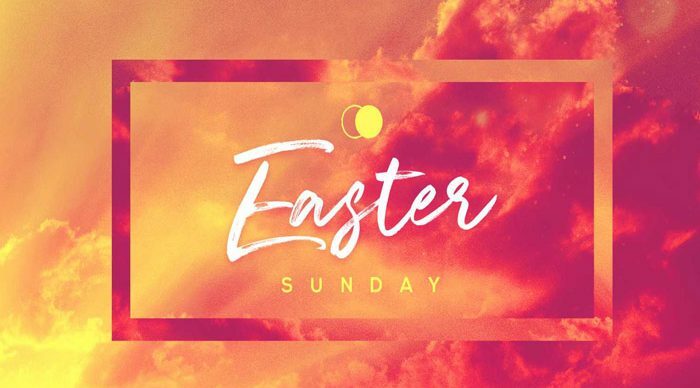 Please join us at Easter Sunrise Service at 6am or Second Service at 8:00am Worship /Communion and again at 10:30AM with Communion. A Coffee Hour will be served following both early services.